The billionaire Russian real estate magnate and his pop singer son who helped arrange the June 2016 meeting where Trump campaign officials hoped to receive dirt on Hillary Clinton from the Kremlin are looking to get out of the United States—or, at least, out of New Jersey. 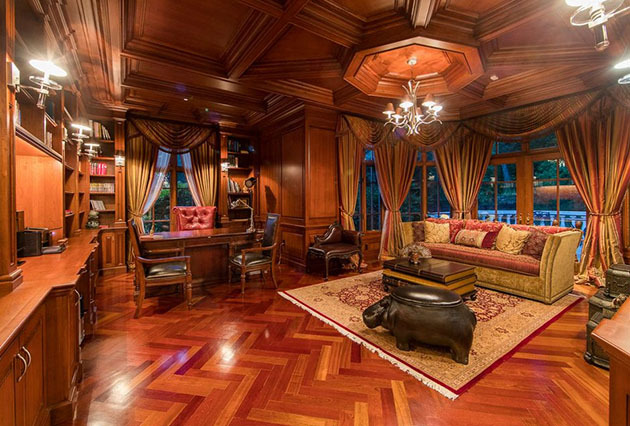 Aras Agalarov’s Alpine, New Jersey-home comes fully furnished. Drapes included. 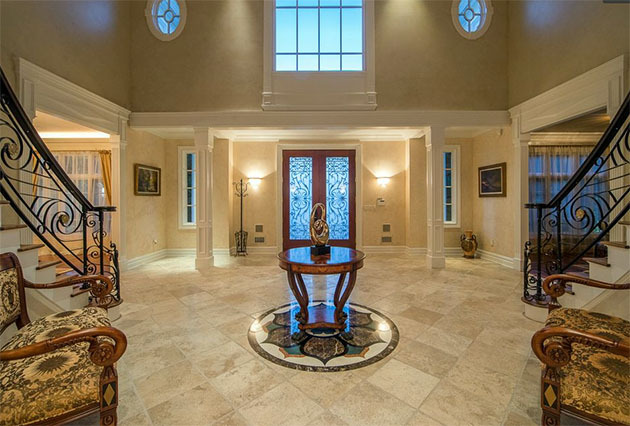 The “one of kind French manor estate” sits on 2.5 acres of land and includes a fountain. Agalarov’s son Emin, meanwhile, has spent two-plus years attempting to unload a slightly more modest six bed, eight bath “stunning brick colonial” he owns in nearby Demarest. Emin, who was born in Baku, Azerbaijan, attended high school for two years in Tenafly, New Jersey. After putting the property on the market in April 2015 for $3.3 million, the younger Agalarov is now offering the manse for $2.9 million, just shy of the $3 million his family spent on the home in 2008. 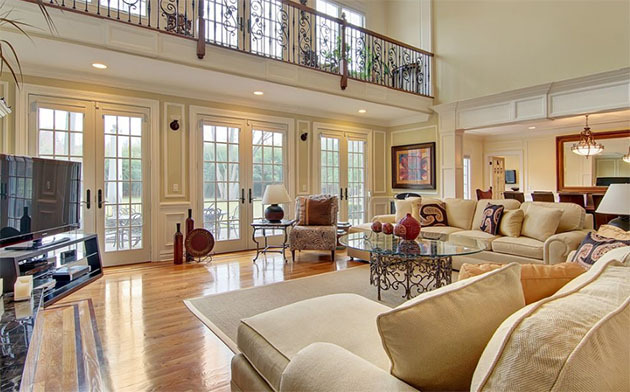 The home features a “spectacular great room” with French doors. According to emails released by Trump Jr.—after he learned the New York Times was on this story—the Agalorovs helped set up the Trump Tower meeting where Donald Trump Jr., President Trump’s son-in-law Jared Kushner, and then-Trump campaign chief Paul Manafort, expected to receive negative material on Clinton from a Kremlin-connected attorney. Aras Agalarov’s home boasts a double bridal staircase. The wet bar includes a built-in aquarium. 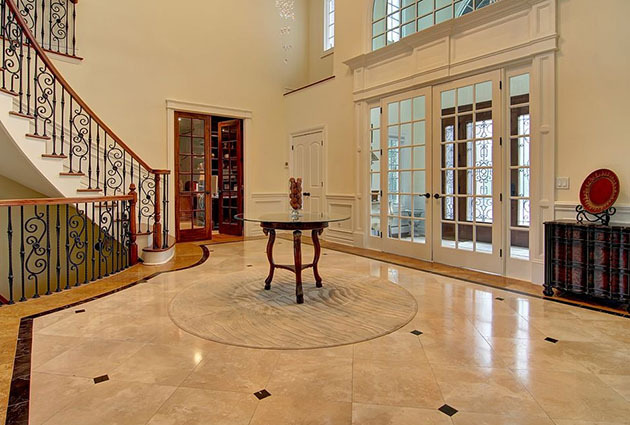 The buyer will find out where a spiral staircase from the master bedroom goes. The Trump and Agalarov families formed a relationship in 2013, when they partnered to hold the 2013 Miss Universe contest at a Moscow-area concert pavilion, Crocus City Hall, which Aras Agalarov owns. Emin Agalarov performed at the event. Trump Sr. later appeared in one of the singer’s videos. Aras Agalarov made his fortune building shopping malls in Russia, but won Putin’s favor by building important national projects, such as two stadiums for the 2018 World Cup. Like many before them, the Agalarovs, say they moved to New Jersey for the schools. Emin told NJ.com in 2014 that his father, while living in Manhattan, bought the Alpine home so that Emin could attend Tenafly High School for his junior and senior years. Emin then went to college in the United States at Marymount Manhattan before returning to Russia in 2001. The singer kept his home and still “considers himself something of a Jersey guy,” NJ.com reported. The listing agent on both the Agalarov homes is Sheila Agalarova, who is Aras Agalarov’s daughter and Emin’s sister. The front hall of Emin Agalarov’s home. 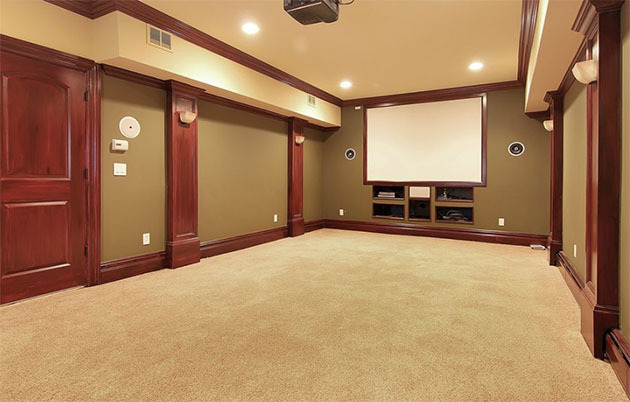 The fully furnished basement includes a home theater. Emin Agalarov’s home is just a few blocks from a property owned by senior White House adviser Kellyanne Conway and her husband George. They paid $6 million for the property in 2007. In 2011, Forbes ranked the 07620 zip code belonging to Alpine as the most expensive in the country, with a median home value of about $4.3 million. While it might seem odd that a family that made billions in Russian real estate is posed to take a drubbing in the New York suburbs, James Collins, who represented the sellers of the Demarest property in 2008, said the performer’s difficulty finding a buyer reflects the state of “the whole Tri-State market,” where high-priced homes are often remaining on the market for long stretches, even years. But the agent involved in the sale said that Aras Agalarov had offered his home for a low enough price to unload it fast. “At a more realistic price they sell quicker,” the agent said.